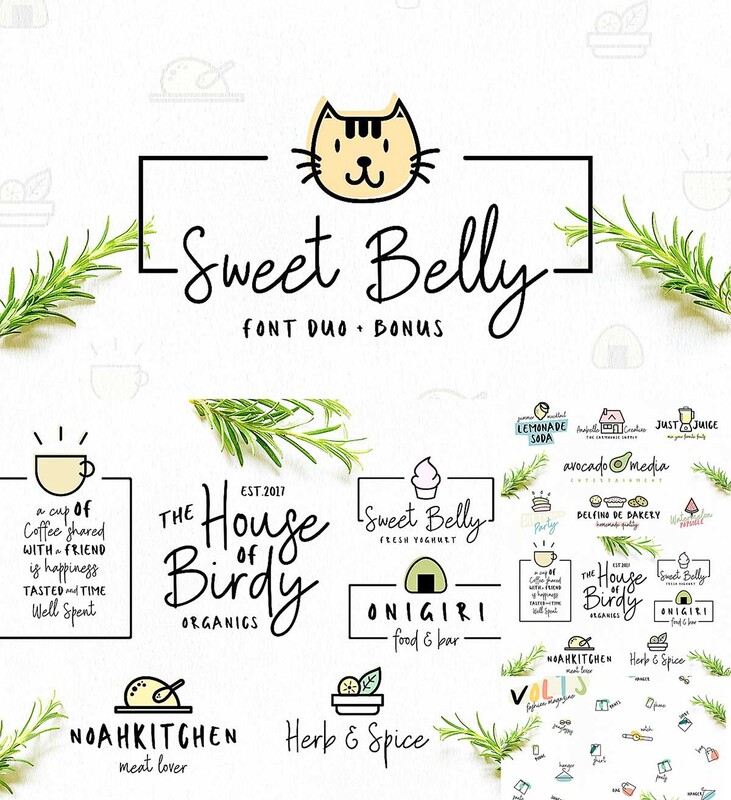 Sweet Belly is a cute font duo that combines two font, sans and script into one sweet package. This font combination is perfect for creating your own logo. 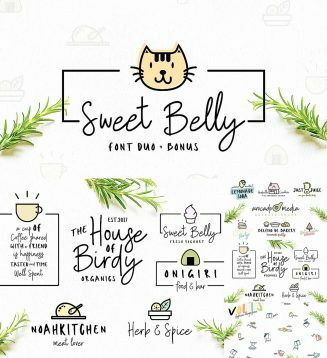 This font perfect for sweet logos, cover, magazine, sticker, flyer, cards, and more. File format: .otf, .eps, .ai, .psd for Photoshop or other software. Tags: avocado, colorful, cute, font duo, handlettering, icon, label, logotype, premade logo.